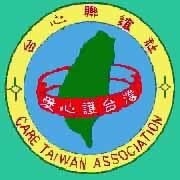 ¡@Although Taiwan was made a province of the Ching Dynasty in 1885, it was never treated by the dynasty as an inalienable territory of China as Beijing has time and again claimed in the recent years. ¡@The Ching Dynasty lost in a war with Japan in l894 over the issue of Korean sovereignty and signed the Treaty of Shimonoseki with Japan on April 14, l895, under which the Ching Court agreed to cede Taiwan and the Pescadores to Japan. On May 20, l895, the Ching Court ordered Tang Ching-sung, the then governor of Taiwan to retreat to China along with his associates. ¡@On May 23, l895, Tan Ching-sung, instead of complying with the order of the Ching Court, however, under the pressure of his subjects, issued an English "Official Declaration of Independence of the Republic of Formosa," stating: "...We, the people of Formosa, are irrevocably resolved to die before we will serve the enemy." ¡@At his inauguration as the President of the Republic on May 25, l895, Tang served a notice on the Ching Court, declaring that the Republic was "at the same time recognizing the suzerainty of the Emperor of the Ching Dynasty and standing in the relation of a tributary state to China," thereby unveiling his phony intention to declare independence. ¡@The Japanese forces landed on northern Taiwan on May 29, l895 and President Tang fled from Tamsui to China on June 4 by camouflaging himself as an old woman. The Japanese occupation authority inaugurated their sovereignty over Taiwan on June 17 and sent forces southward from Taipei to quell resistance, including those led by General Liu Yung-fu in Tainan City, who fled to China on October 20, l895. ¡@ Both President Tang and General Liu were Chinese government officials and thus were not serious in establishing the "Republic of Formosa" as an independent state. Tang expected two French warships from Vietnam to help him, though the ships were unfortunately reassigned to quell a rebellion on Madagascar and never showed up, whereas General Liu was misled by the Ching Court into believing that Russian ships would come to his rescue. Both fled to China after their expectations had been belied. Hence, the short-lived Republic of Formosa can be said to represent nothing more than a doomed diplomatic maneuver to defend Taiwan from Japanese annexation.